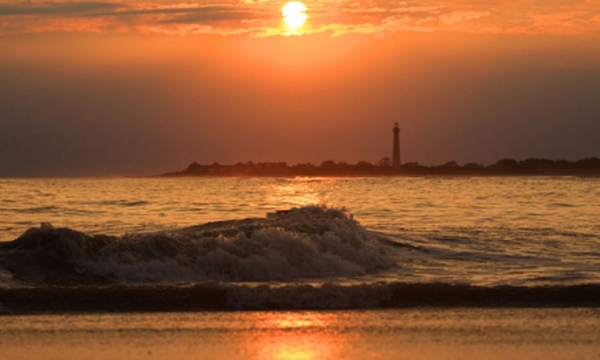 November may not be your first thought of a great time to visit Cape May. I’m thinking that perhaps you should reconsider. In addition to these scheduled special events, both the NJ Teachers Association convention, Veteran’s Day (Nov 11) and Thanksgiving offer many of you a couple of extra days off from work to come to enjoy Cape May in November. Prince Arthur is without a doubt my favorite “Standard” class room in The Queen Victoria. 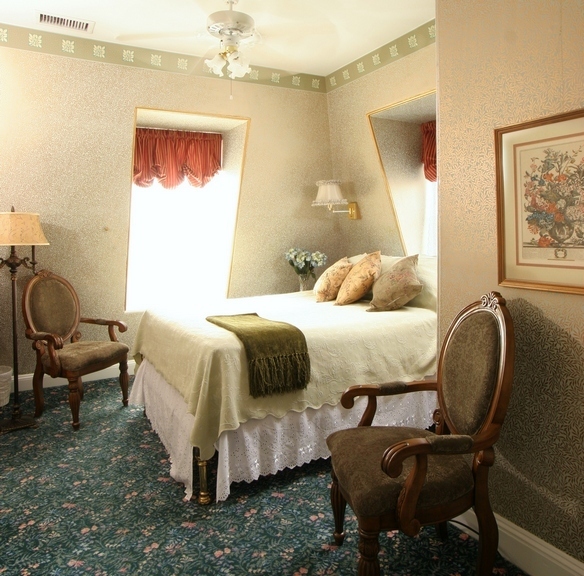 Standard rooms are our smallest, least expensive rooms, but Prince Arthur is larger than many, and has some features that make it very special. To start with, Prince Arthur has our best ocean view. Given its corner location on the 3rd floor of the House of Royals, the view down one block to the beach is unobstructed. Prince Arthur has another great view out the other windows in the bedroom & bathroom: The Queen Victoria building across the street. Many guests tell me that they want to stay in The Queen Victoria building because it is so pretty. Ironically, the only guests that can enjoy the view of the exterior of the building are those staying in the House of Royals. If you really love to look at our beautiful Queen Victoria building, then Prince Arthur is the room for you. Prince Arthur has some other wonderful characteristics beyond the view too. With an elegant marble floor & spacious marble counter, the bathroom is very special. Add to that the interesting marble bench seat in the shower (yes, lots of marble in the room), and the heated towel bar, the bathroom feels very luxurious. Finally, the mansard roof of the House of Royals building gives the 3rd floor rooms, including Prince Arthur, a lot of character. The resulting deep window wells beautifully frame all the great views out the windows. Seriously, the Prince Arthur room, with all of its wonderful features is probably the best value we have at The Queen Victoria. For the last few years we’ve been welcoming psychic medium Debbie Wojciechowski to The Queen Victoria for Saturday channeling sessions. Debbie has proved to be EXTREMELY popular, making believers out of even the most skeptical attendees. For those of you unfamiliar with channeling, Debbie “channels” the spirits of loved ones, usually in the context of healing and comforting of the participants. Incredibly, we still have a few open seats available for the October 15th event. Normally I would be mentioning this to encourage you to make reservations for that weekend. In this case, we don’t have any rooms left for the weekend, so I’m mentioning it as a fun and interesting opportunity for those of you already coming to stay with us. Even if you don’t have reservations for that weekend, but would like to attend this event, give us a call. We’re welcoming previous guests to be “Day Trip” attendees for the event. The October & February events still have a couple of open seats, while the January event has plenty of availability. The Sherlock Holmes Mystery Weekend is without a doubt the most fun tour based event of the year. It is so much fun that it is actually held twice a year, once in March, and again in November. As November is rapidly approaching, it seemed fitting to feature it here in our newsletter. This is the first of the November events I mentioned in the opening, lead off article. The weekend starts out on Friday evening when participants (that’s you) attend the first of three acts of a custom Sherlock Holmes Mystery stage production, where they are introduced to the mystery and the characters. The following afternoon you’ll embark on a tour of several B&Bs, including The Queen Victoria, where you’ll rub elbows with the cast (in character), and search for clues to solve the mystery. Interaction with the cast is encouraged, as is donning of period costumes. Lots of attendees don their “Sherlock Best”, vying for the coveted, best costume prize. Saturday evening you’ll attend the second act of the mystery, where they will STILL leave you wondering who the culprit was. On Sunday the event concludes with brunch where you’ll submit your solution to the mystery. At that point the solutions are evaluated and the winner is announced. They also have an award called the “Clueless Wonder”, which is given to the poor souls with the worst solution. The Best Costume prized is also awarded at the brunch. It is all in good fun and will certainly make for a memorable weekend. 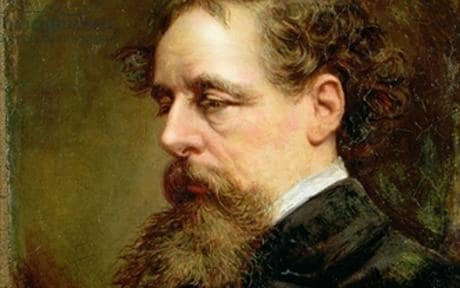 If you love Sherlock Holmes, this event is a must for you. Given the popularity and success of the annual Cape May Restaurant Week in June, the folks at CapeMay.com have organized another dining event in November. Given the season, they’ve shortened it to a long weekend, but that is where the differences between the two events end. Everyone loves to dine out in Cape May. When your favorite restaurants offer a great deal like this, it makes it even more special. If you’re looking for a reason to visit Cape May in the next month or two, this might just be the thing to sway you! The Exit 0 Jazz Festival (Fall edition) returns to Cape May this November with an amazing lineup of musical talent. Heading up this group of musicians is the incredible Wynton Marsalis, returning to Cape May for a command performance on Saturday, November 12. The other headliner being featured is Cecile McLoren Salvant, a 23 year old virtuoso who brings to mind the likes of Billie Holliday, Sarah Vaughn, and Ella Fitzgerald, who will be performing on Friday, November 11. As you can see from the image above, the festival is 3 days long and features 45 shows in various venues all around Cape May. This really has become a World Class Festival that you won’t want to miss if you are a Jazz fan. In addition to the headliners, I suggest you check out Davina and the Vagabonds for a fun-filled, up-beat experience. I can’t help but be impressed with the way that our new bench seat in the side yard of the Queen’s Cottage came out. For those of you who are familiar with the old bench, you might note that this one is slightly altered to match the design of the portico entrance into the yard. Rather than a flat top, we pitched the roof line to match it. You might also notice that we introduced two new colors of paint into the design to give it a little more character. The cream color of the decorative side elements as well as the beige color of the seat itself are matching colors from the building itself. There are a couple of ways to enjoy this bench during your next visit. First of all, I suggest you stand across the street, near the entrance to the Library parking lot and view the bench, looking through the portico at the entrance to the yard. It really is quite striking. I’ve seen lots of folks using this bench for a great photo location too. Personally, I can see myself sitting there for at least a little while admiring the yard and garden while sipping a cup of coffee in the morning. I know that at least one couple, who will be using it as a backdrop for their wedding in a couple of weeks, are VERY excited about this beautiful new bench. I’ve dedicated a couple of articles in this newsletter to Christmas and/or Christmas events, so when I saw this photo taken by our good friends/guests Kevin & MegAnne during a Candlelight House tour in 2105, I couldn’t help but post it. 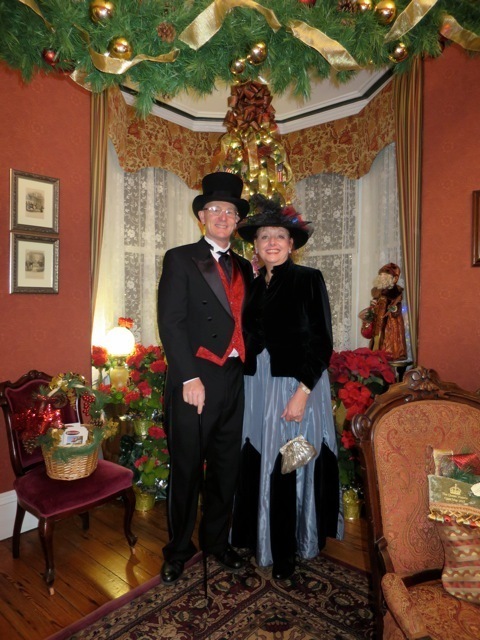 If you want to see Anna Marie and me dressed up like this yourselves, then plan on making a trip to The Queen Victoria for either the Dickens’ Extravaganza, or one of the Candlelight tours that we participate in. We don’t do this very often! Of all of the items that we carry in our gift shop, I think that our puzzle is the one that I was most excited about when we bought the inn. I mean who has a puzzle of their very own home? I must admit that I’ve only actually put our puzzle together once, but I enjoyed it quite a bit. Once completed, we framed it and hung it up to display. It makes a beautiful piece of photographic art! If you’re looking for a reminder of your visit to The Queen Victoria, how could you do any better than something that will give you hours of pleasure and leave you with a beautiful image of your favorite place in Cape May? For those of you with grandchildren, one of our puzzles might be a fun way to spend some quality time with your favorite little people in the world, and share with them what is special to you. One of our favorite things to do on a pleasant fall day is make a trek to the Cape May County Zoo, located in Cape May Court House, just 11 miles from Cape May (exit 11 on the Garden State Parkway). 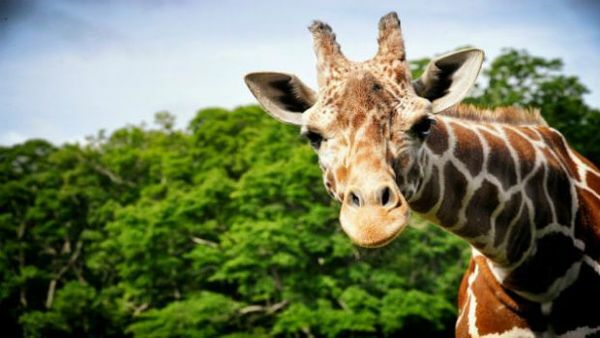 If you love a good zoo, then you absolutely have to plan on visiting this Zoo, which is comprised of 80 acres and features over 250 species of animals, reptiles and birds. Admission is free at the zoo, but most of our guests that have visited the zoo over the years end up making generous contributions in the donation box as they leave the zoo. Really, it is that good. One of the things I really love about the zoo is the effort they’ve made to provide open space to the animals, giving them a comfortable environment. There are several very interesting areas to visit, including the “savannah”, which is where you’ll find this inquisitive fellow, along with the zebras and a couple of other herding species. Over the last couple years, ever since they first opened their doors, Sapore Italiano has been gathering a very broad following. In the early days, before they were very well known, Anna Marie and I could simply drop in and be seated immediately. 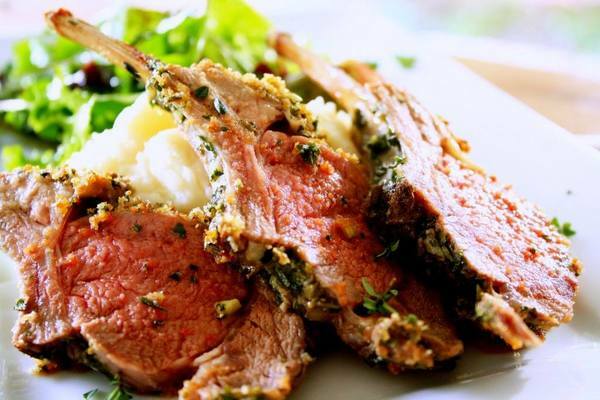 These days, a meal at Sapore Italiano is something you have to plan at least a couple of days in advance. Sapore Italiano is certainly our favorite Italian restaurant in Cape May. That is saying a lot, coming from a guy who married a beautiful Italian girl whose mother is a fantastic cook. Seriously, we really love the food. So what makes it so special? First of all, the decor is very pleasant, in all of their many dining rooms. My personal favorite room is the back dining room next to the very large fireplace; lots of character. Beyond the ambiance of the place is the food. The menu is extensive, with lots of preparations and sauces that you simply don’t see in most Italian restaurants. I’ve never had a meal that I haven’t loved, but I certainly have my favorites, one of which is the Veal Saltimbocca. I’m not usually a veal guy, but it is wonderful. Anna Marie has been ordering the Flounder lately, which is topped with a generous helping of crab meat and capers in a white wine lemon caper sauce (which she gets on the side). Here is your tip of the day for Sapore Italiano … don’t order an appetizer. One of the special treats at Sapore Italiano is the complimentary antipasti platter that they bring to your table along with the bread. Like most of our favorite restaurants, Sapore Italiano is a BYOB establishment, so bring a bottle of your favorite wine or beer to enjoy with your meal. Sapore Italiano is located in West Cape May, just next to the corner of Broadway and Sunset boulevard. You might remember that this location has been the home of Copper Fish, Moonfish Grill, and Daniels (going way back). I’m guessing that these folks will be here for a LONG time.